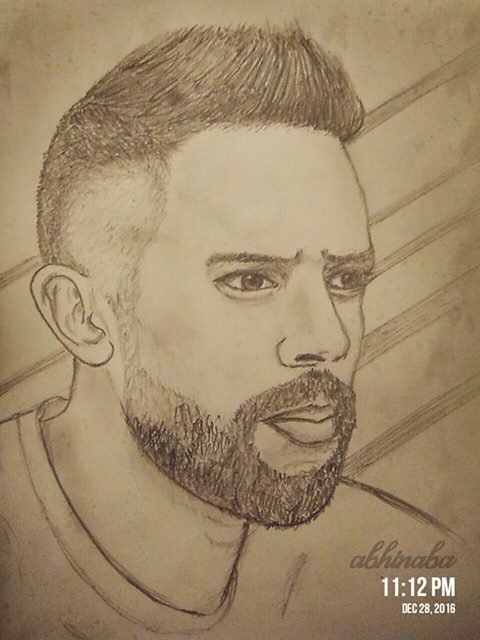 First entry in our Indian Football Creative Gallery is this stunning piece of pencil sketch by Kolkata's Abhinaba Basak of Indian International and FC Goa forward Robin Singh. We at ABCDFootball have now increased our boundaries - not just limited to news or articles related to football anymore but also towards creative section which would includes skethces/paintings or even poems, slogans or even songs. As long as the content is related to Indian Football and is not offensive in nature by any means, we shall be happy to publish the same. We encourage you to submit your entries at our email address admin@abcdfootball.com or sam80dev3@gmail.com in order to get them published under our Indian Football Gallery.